Upholstery and Sewing Services, Cupar, Fife. Company Staff. 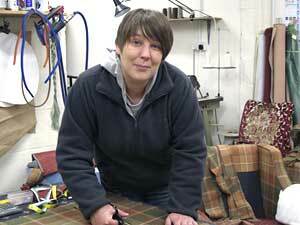 Fife upholsterers, furniture and window dressing specialists for commercial premises, home or caravan. Over 73 years experience and knowledge and customer care. The family Staff whose aim is customer satisfaction. Evelyn started work in the upholstery business almost 45 years ago with an apprenticeship with martin & Frost of edinburgh. 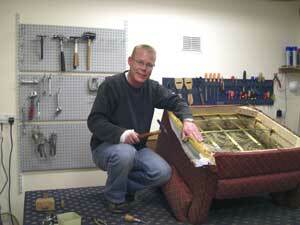 This was followed by 10 years work as an upholsterer in St Andrews, fife. 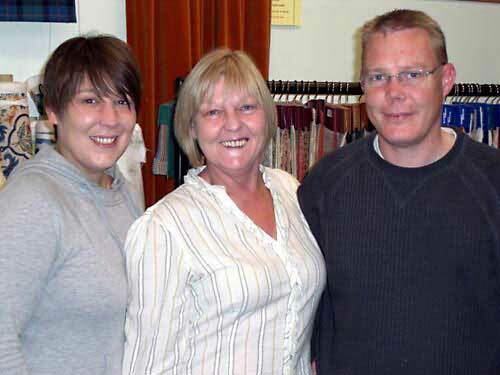 In 1990 the company "Upholstery Sewing Services" was formed by Evelyn, working out of Cupar in Fife. With Evelyn's experience and knowledge within the trade, the company has grown through the years and in 2008 moved into purpose built premises in the centre of Cupar. 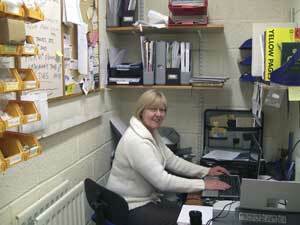 Evelyn is now moving toward well earned retirement and will be handing over the reigns to her daughter Jill. Though still under the watchful eye of the master. Jill's academic background has provided her with excellent knowledge in materials and textile and how best to work with them to provide the desired results for their customers. This included a portfolio course in art and design and an H.N.D. in textile design. 12 years ago Jill joined the family business as a cutter and sewer and now carries out all the work involved in recovering cushions and all other loose furnishings for their customers. Jill is an indispensable member of the team and will eventually take over the company when Evelyn retires from work but maintains a consultancy role, to ensure that Upholstery Sewing Services maintains its quality, reliability and customer satisfaction.